A pound of fat and a pound of muscle weigh the same, but they have different energy requirements. 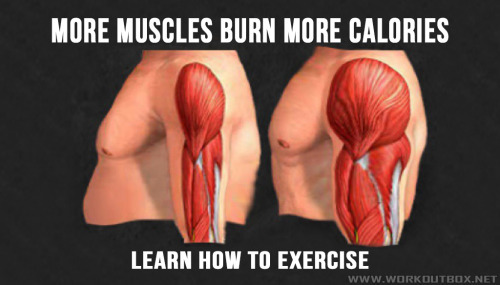 Muscle burns more calories than fat. People who are heavily muscular typically have a high basal metabolic rate, or BMR, which means they burn a significant number of calories, even when resting. Your body burns calories when you move, but it also needs energy to maintain itself. For example, your lungs use energy when you breathe, and your heart uses energy to beat. You even burn calories at the cellular level as cells grow and repair themselves. The different body processes require various amounts of energy, so your particular body composition affects the number of calories you burn while performing everyday activities. Maintaining a high percentage of muscle and a low percentage of body fat is typically the healthiest way to live.